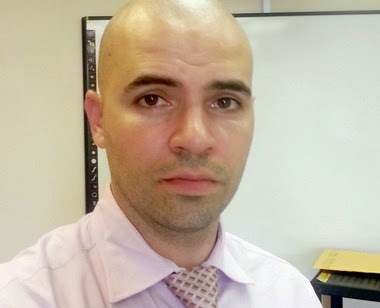 Francesco has done what all individuals should do if they feel that they have been misrepresented by their UFT Representatives - file a PERB complaint. By the way, if you are in, or have gone to, a 3020-a arbitration, and feel strongly that an Attorney has done something unethical, improper, or in violation of his/her attorney/client privilege, file a complaint with the Departmental Discipline Committee, NYC Bar Association, and the Committee on Professional Discipline..
You can, of course, do the 3020-a arbitration yourself "pro se", or with an assistant. And, if an Arbitrator has, in your opinion, violated his/her mandate to be neutral, respectful, and fair, file a complaint with the NAA. If you want to file a complaint against an Arbitrator on the NYC 3020-a Arbitration panel who is not a member of the NAA, but is a member of the American Arbitration Association , the AAA will not take your complaint because, they say, there is a separate contract for Arbitrators who work in NYC, with the DOE. Do I have to go into how dangerous this is? Hold everyone who harms another person, accountable for their actions. For three years my career has been under attack. My name and my reputation smeared. Those who know my story know the fight I have fought against a very corrupt system. However, even if you have read ever single character I have placed on this site, Facebook and Twitter, you still would not know everything. Especially not the fighting behind the scenes. I don’t mean just with my employer, the New York City Department of Education, but my union representatives. Since I started teaching in 2007 I have been a member of the United Federation of Teachers (UFT) union. I have paid a monthly fee for being a member. Do you know what else I have been paying for monthly? Roadside assistance. In both cases I spent most of my time not needing to call either. I still paid both regardless. However, when I did have trouble with my car, I made a single call to AAA Roadside Service, and I received immediate…wait for it…assistance! I wish I could say the same for when I reached out to the UFT. That…that right there is the difference between my union and roadside assistance. Pay either way, but one helped and the other did not. A week ago I wrote something vague on social media about launching a “long overdue missile at 52 and it was not 52 Chambers Street” (DOE Headquarters). It was actually at 52 Broadway (UFT Headquarters). Below is my very detailed, and well documented, case against those who are paid to represent us and unfortunately do not. I dare anyone, from supporter to foe, friend or colleague, on or off the UFT payroll, or otherwise, to read these pages and tell me that I should not have engaged in this complaint. I actually believe I should have done it sooner. Based on the reactions from the many members who have already read this already, many will be following suit. Note: This is not an attack on the UFT, nor the notion of a union. I’m a strong believer of unions and their place in defending the working class. This country was built on the labor of countless. They need protection, not corruption. Thank you to the many union representatives who work hard and do defend their members. If you are charged with corporal punishment or verbal abuse, use the information below to prove/disprove what the investigator on your case did wrong, and hopefully you will win your case. Each Children First Network (CFN) has a designated senior attorney and a paralegal to provide legal support to network and cluster staffs, as well as to school leadership throughout the borough. The Senior Field Counsel provide direct assistance to administrators and school leadership in resolving matters with legal implications. The attorneys also provide guidance in interpreting and implementing the Chancellor’s Regulations. school policies, including religious accommodations, dress codes, school trips, school security, student health, etc. The Senior Field Counsel also provide regular trainings to school leadership on a variety of legal issues. Specific trainings can be requested through your Senior Field Counsel.